Present in Istanbul for 20 years, Gide is one of the rare international law firms in Turkey to be in a position to offer a global service in business and finance law, combined with perfect knowledge of the local market. We regularly assist foreign investors (multinationals, public entities, banks, financial institutions, etc.) on their projects in Turkey, particularly in M&A, the setting up of joint ventures, restructurings, privatisations, project financings, and capital markets. Over these past few years, Gide has worked on some of the largest investment projects in Turkey. Gide has also acquired high-level experience in intellectual property, in particular in combating the proliferation of counterfeit goods. When the specific characteristics of a case so require, for instance to handle cross-border operations and offer multi-jurisdictional services, Gide Turkey works alongside the firm’s other international offices, in particular those located in Central and Eastern Europe and North Africa. For financial matters, Gide Turkey works in close partnership with the London, New York and Paris offices to offer its clients the services of an integrated and international team. 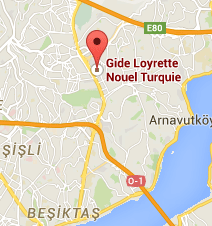 Regarding aspects of Turkish law, Gide Istanbul acts alongside its local correspondent firm Özdirekcan Dündar Şenocak. Gide in Turkey can thus rely on a team of lawyers recruited from among the best local experts, and who can handle all fields of Turkish business law (corporate, banking & finance, insurance, intellectual property, real estate & environment, competition & distribution, tax, customs, employment law and more). This team boasts perfect knowledge of the business environment, thereby facilitating relationships with the market’s various players and Turkish administrative bodies. Assisting subscriber Oyak Menkul Değerler in listing on the Istanbul stock market around 15% of shares of a Turkish supermarket chain, and in its private international positioning in compliance with "regulation S"